Artwork in bite size pieces and brimming with versatility. 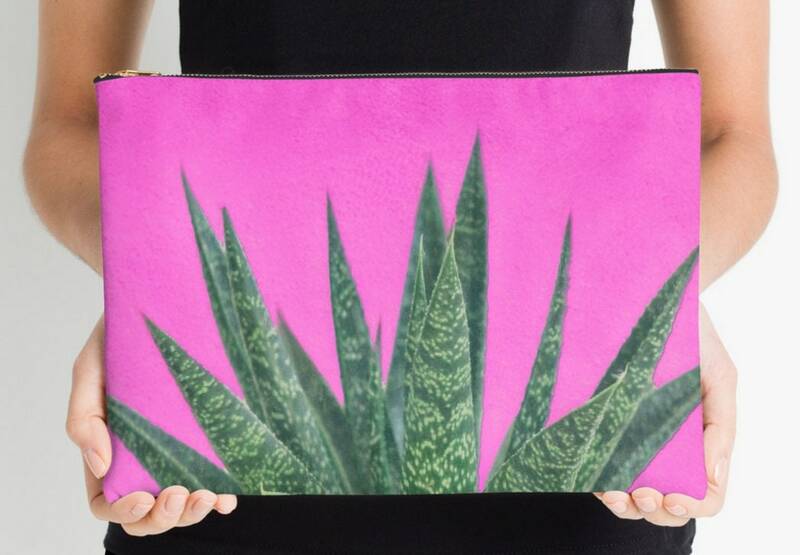 These uber functional works of art disguised as zippered pouches can be used as pencil totes, makeup bags, change purses, phone holders, brush cases or did I mention the large flat size fits an 11" iPad Pro. Organize your life with one of my Carry-All Pouches. Carry on! 👀 This is magenta pink which has a hint of purple. All items are custom made at the time of purchase, so please be sure you love what you are ordering. I cannot cancel or change orders - all sales are final when you submit your payment and no refunds will be given. Thank you for understanding the limitations of small artisan businesses like mine. 👜 You can choose a wider “T” bottom, or the standard envelope bottom. 📏 Flat: M: 8.5 x 6"; L: 12.5 x 8.5" "T" : M: 8.5 x 4.5"; L: 12.5 x 7"
☆☆☆☆☆ - I love it! It is exactly as described and well made. I would order from this store again. ☆☆☆☆☆ - I love it. thanks so much! ☆☆☆☆☆ - Came out great, and I really appreciate that the seller adjusted the shipping costs without my even asking. Thanks! ☆☆☆☆☆ - These are the bomb! VERY well made, sturdy zipper, great canvas like fabric that feels as if it will last. Design is vibrant and very pretty. I had trouble picking just one pattern! Love, love these Thank you!